The Rev. Dr. Charles E. Goodman, Jr., serves as the senior pastor/teacher of the Historic Tabernacle Baptist Church of Augusta, Ga. 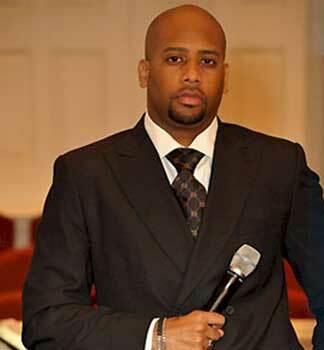 He will be speaking at the revival services at Mount Canaan Baptist Church (Trenton) beginning on July 14. Dr. Goodman, told in a news release sent from Mt. Canaan, holds a wealth of scholarly and theological studies as underpinnings of his pastor/teacher position (“shepherding” as an alternate title). Dr. Goodman graduated from Wake Forest College with honors. In May 2005, he graduated from Candler School of Theology at Emory University with a concentration in Homiletics and Black Church Studies. In May 2009, he graduated from the Wesley Theological Seminary in Washington, D.C., for a Doctor of Ministry degree, with a concentration in Preaching for the 21st Century. Goodman traveled abroad with the Renewal program at Candler, to the Holy Land, in 2006, and returned to the Holy Land in 2013 as a delegate for the Progressive Baptist Convention. He is presently pursuing a master of management degree from Cambridge College, due to graduate in December of this year. Dr. Goodman has received numerous recognitions: 2006 named one of “America’s Most Loved Pastors” by a publication; 2008 inducted into Morehouse College’s MLK, Jr., Board of Preachers. His sermon “The Curse of Being Average” was featured in The African American Pulpit, Judson Press, 2008. He can be seen and heard on “Kingdom Living” TV and “Spiritual Vitamin from PG” (radio). His ministry has brought “explosive growth” to pastorates in East Alabama and, since 2006, at Historic Tabernacle Baptist Church. The membership exceeds 5,300.